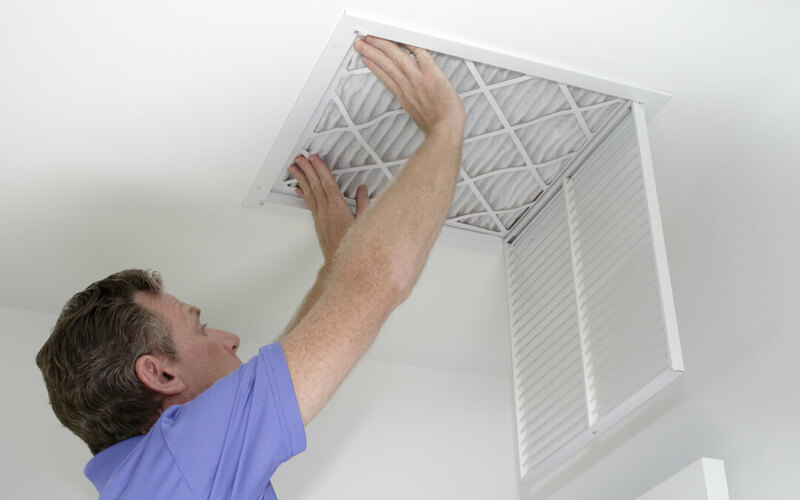 You should replace or clean your furnace filter about once a month. A clean filter not only maximizes your furnaces efficiency, but it also minimizes your electric bill. First you should check the area in front of the furnace. A lot of times this is a breeding area for dust. If it is dusty, clean the area before you remove the filter. Locate the service panel on the furnace. Usually this is located on the front of the furnace. Many furnaces have reuseable plastic framed filters. If you have one, then simply take the filter outside, and clean it with a water hose. Let it dry outside, and replace it. * Many furnaces have disposable cardboard framed filters. If you have one of these, write down the size of the filter. Make a trip to your local hardware store, (Lowe’s, Home Depot, or even WalMart) and buy a filter that is the same size as the one you removed. When you are done, replace the filter.